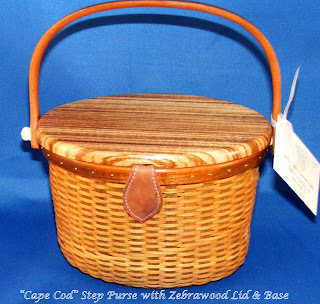 Our crafts range from Shaker Oval Boxes, Trays and Jewelry Boxes,to Nantucket Baskets and Shaker Footstools. 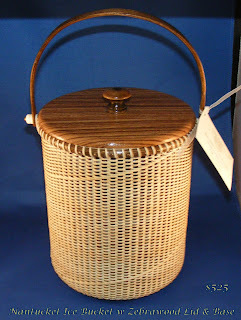 Nancy learned the art of Shaker and Nantucket baskets from Nathan Taylor one of the leading authorities on Shaker and Nantucket Baskets. Bill and Nancy studied the fine art of Shaker Oval Boxes through the world renown Boxmaker John Wilson.